Front is handcarved from 3” thick walnut. Door pulls incorporated into curves. Finished back with tongue and groove paneling. Front and sides handcarved from 3” thick walnut. Drawer pulls incorporated into curves. Finished back with tongue and groove paneling. 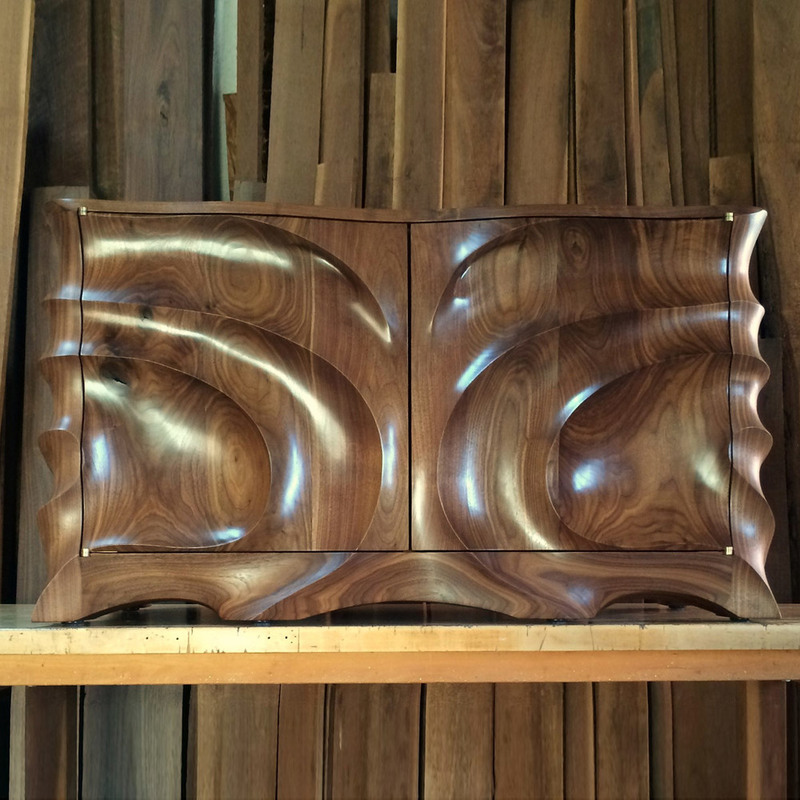 Sides, top, and front are handcarved from 3-4″ walnut. Drawer pulls incorporated into curves. Finished back with tongue and groove paneling. 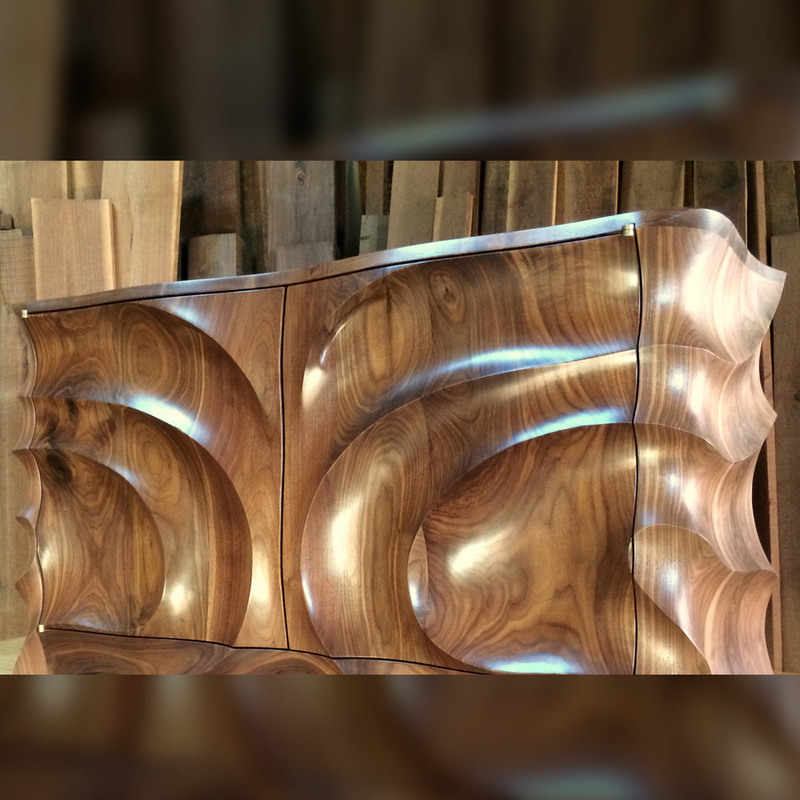 Front is handcarved from 3″ walnut. 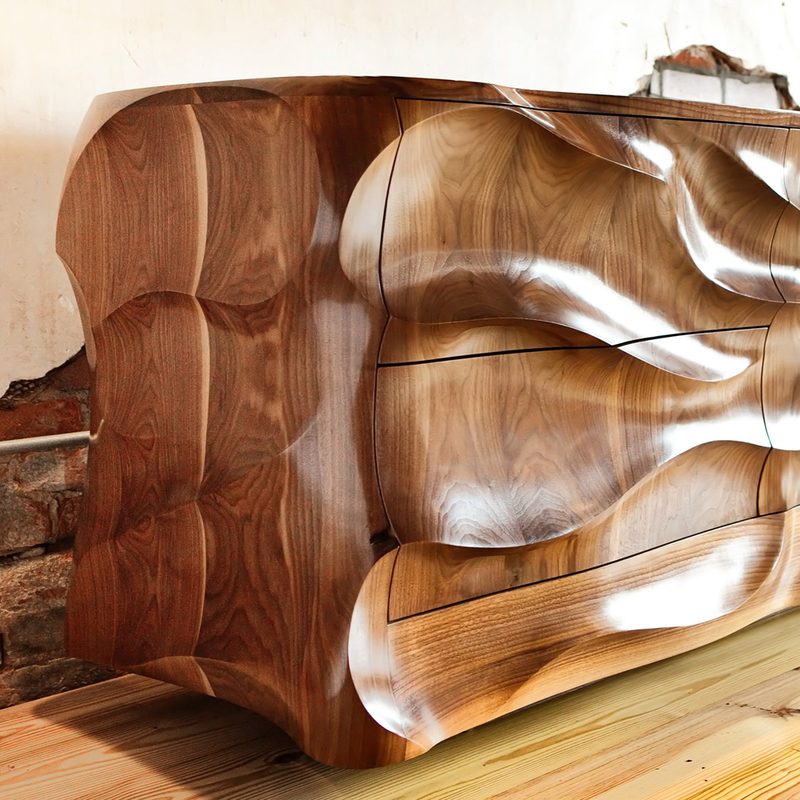 Drawer pulls incorporated into curves. Finished back with tongue and groove paneling. Sides and front are handcarved from 3-4″ walnut. Drawer pulls incorporated into curves. Finished back with tongue and groove paneling. Grain wrapped case with a single slab of matched grain drawer fronts. Hand turned pulls and feet. Finished back with tongue and groove paneling. Grain wrapped case with curved drawer fronts. Finished back with tongue and groove paneling.